College life presents many new and exciting opportunities to students, but it can also bring new fears, anxieties, and temptations. Worries about the future? Stress over deadlines and paying for schooling? Temptations to follow “the crowd”? Afraid to show your faith to others? Even miss home a little bit? These devotions were written by college students and former college students who know exactly what you’re going through. Take time each day to go to your Savior with your worries and temptations, your joys and successes. Draw strength from God’s Word as you read the encouragement and hope that’s offered in the pages of this devotional to live out your college years with a fearless faith and trust in your God, who will be with you every step of the way. 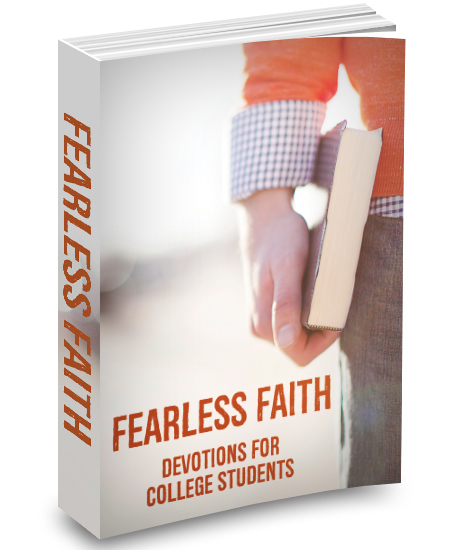 Paperback, 322 pages, 5.5" X 8.5"
Successfully added Fearless Faith: Devotions for College Students to your cart.